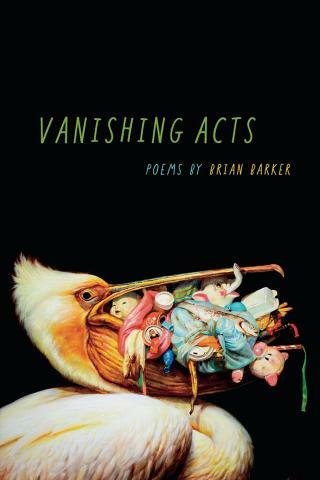 In Vanishing Acts, Brian Barker cements his reputation as one of contemporary poetry's great surrealists. These prose poems read like dreams and nightmares, fables and myths. With a dark whimsicality, Barker explores such topics as extinction, power, class, the consequences of tyranny and war, and the ongoing destruction of the environment in the name of progress. A linked sequence of poems forms the book's backbone, with an oracular voice from the future heralding the return - or hoped for return - of common animals. Part lyrical odes, part creation myths, part excerpts from a bizarre guide for naturalists, these poems mix fact and fiction, science and fable to create an unsettling vision of a dystopian world stricken by extinction, one where the world's last catfish sleeps "in the shadow of a hydroelectric dam." The imaginative language and bizarre stories of these poems are perfectly suited to capture a world that no longer makes sense: a man who wears a toupee to hide an injury inflicted by secret police, a group of villagers who make a bad bargain with a land agent.